When your vehicle is unaligned it doesn’t just make driving more difficult, it actively costs you money. Uneven tire wear, worsening gas mileage, and poor steering can all be caused by improper alignment. These can really add up in the long run. 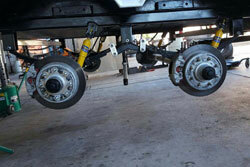 The best way to stop these problems is with an RV alignment in Mesa, AZ from Straight Line Suspension. 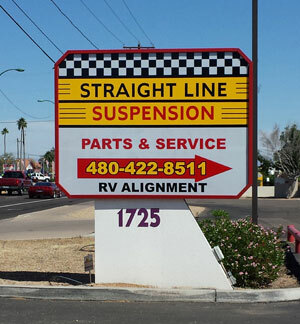 Your RV alignment and suspension specialist. Your RV doesn’t sit like a standard sedan or truck. Weight considerations vary considerably. 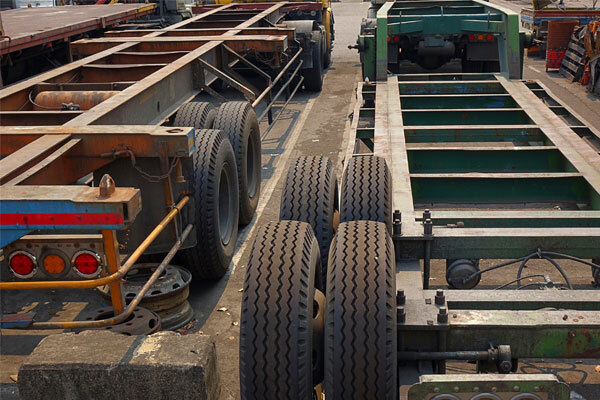 Depending on the type of axle and number of wheels your RV alignment in Mesa, AZ may require more than a regular shop can handle. We specialize in suspension, alignments, and large vehicles in particular. 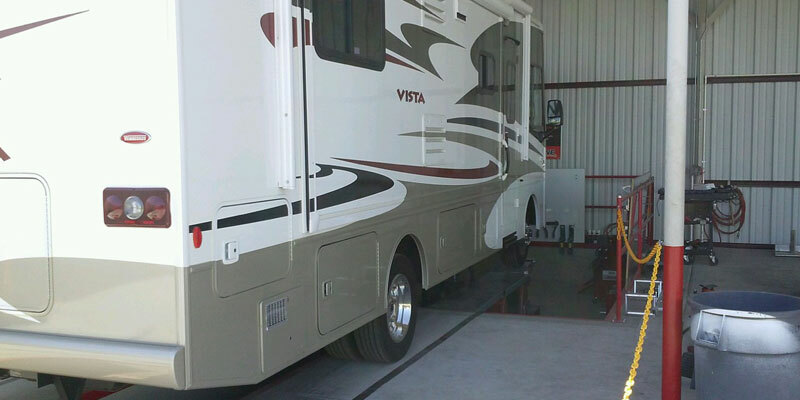 Whether you’ve got an independent front suspension or straight front axle our technicians can restore the alignment of your RV. Protect your tires. Tires for your RV aren’t cheap. Depending on your model and brand prices can exceed $250 a piece. A poor alignment can cause cupping, uneven wear, and lead to early tire retirement. An alignment can keep your tires wearing evenly, saving you money in additional mileage. Increase your gas mileage. Poor alignment causes tires to drag. This can result in a fuel efficiency reduction by as much as 10 percent. It may seem small, but that equates to roughly $25 lost dollars in gas per every fill-up with a 100 gallon tank at $2.50 a gallon. Improve your handling. If your steering wheel is vibrating or your vehicle pulls in one direction, it could be your alignment. This can make driving uncomfortable and dangerous. Why ruin the enjoyment of driving your RV when we can solve it with a fast and affordable Mesa, AZ RV alignment? 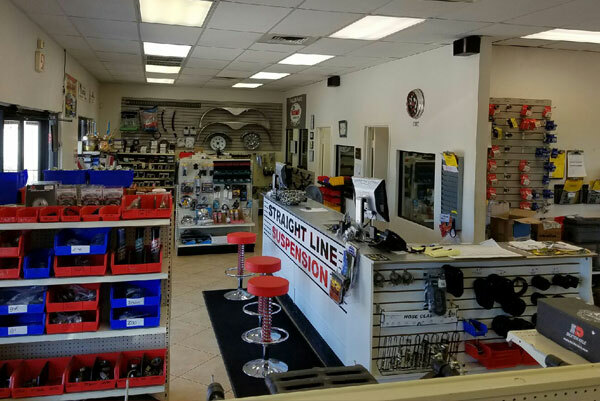 We look forward to serving your RV alignment and suspension needs! 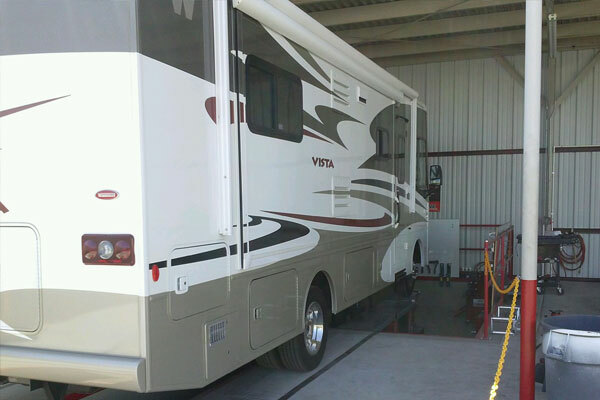 Contact us for an RV alignment in Mesa today. There’s no reason to wait. Our technicians provide efficient and friendly service for your vehicle. Schedule an appointment today and drive your RV the way it’s mean to be. 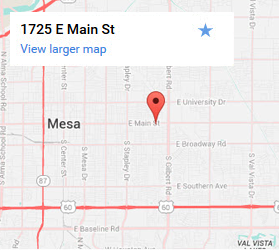 Call (480) 422-8511 or contact us today. 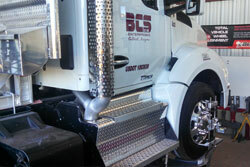 Need Suspension & Alignment Service? These guys were great! Broke a set of leaf springs on my 5th wheel and asked them to beef up the suspension. They were able to get me back on the road on 4 hrs! Can’t thank em enough! They fixed my main problem sooner than promised and while they were at it they fixed a few minor problems at no extra charge. HIGHLY recommended! I have 29' motor home, P30 chassis,workhouse, 2004.I have spent many yrs trying to fix a sloppy steering and ride with a lot of noise.rebuilt steering 2 times replaced the shocks twice, replaced the front end spring coils 3 times which collapsed. Marc replaced the coils after weighing the front end. He checked the complete front end. Ihad just replaced the shocks w/ Koni gold.It's amazing how new shocks,new coils could have solved my steering and rideability and a lot less noise from the chassis. Thanks marc for having the knowledge and customer service to fix the MH after thousands of $ wasted. His process also helped cured the soft brakes. Thanks Marc for a great job and expertise.